One year ago this month in a 20-hour surgery, surgeons at the Children’s Hospital of Montefiore (CHAM) in New York successfully separated young craniopagus twin boys Jadon and Anias McDonald, who had been born 13 months before with complex connected brains. Conjoined twins are pretty rare, but the McDonald twins were even more so because they were fused at their heads. The CHAM surgical team spent months preparing, and the October 14th, 2016 surgery was the fourth and final time in nine months that the twins were operated on. Each procedure was incredibly risky, as doctors had to separate a web of shared bone, skin, veins, and blood vessels. But CHAM called on the 3D printing expertise of 3D Systems and its Virtual Surgical Planning (VSP) service, which 3DPrint.com editor-in-chief Sarah Goehrke had the chance to see firsthand last year at the company’s advanced Healthcare Technology Center in Littleton, Colorado. 3D Systems used the boys’ medical data to create highly specialized 3D printed models of their conjoined brains; the company also created a 3D printed cutting guide that directed the surgeons where to make critical incisions during the surgery. In addition to the 50 medical and surgical experts working on the case and CNN reporters, 3DS’ Katie Weimer, Vice President of Medical Devices, Healthcare, and Michael Rensberger, ‎Manager Virtual Surgical Planning, Healthcare, were both in the OR for the final surgery. The story of the conjoined twins captivated many people around the world – the story was one of our most heavily trafficked articles published in 2016, and CHAM was even honored by the New York State Senate and Assembly for the surgery. The McDonald family, including parents Christian and Nicole and big brother Aza, relocated from Chicago to the Bronx to be with Jadon and Anias every step of the way, which included hours of reconstructive surgery post-brain separation, led by plastic and reconstructive surgeon Oren Tepper, MD, the Director of the Craniofacial Surgery Program at CHAM and and assistant professor of Plastic Surgery at Albert Einstein College of Medicine. One year post-op, the boys are steadily making progress and hitting important milestones all the time. According to James T. Goodrich, MD, PhD., D.Sci. (Hon. ), director, Pediatric Neurosurgery, CHAM and professor, Clinical Neurological Surgery, Pediatrics and Plastic and Reconstructive Surgery, Einstein, their case was the most challenging one he’s faced in his career so far, even though he’s consulted on 29 sets of craniopagus twins around the world. “Looking back to one year ago, we were confident we could separate the boys, but it wasn’t until the final operation that we could really see how conjoined their brains were. Having been involved with the separation of eight sets of craniopagus twins, I am delighted and impressed by the boys’ tremendous progress since last October,” said Dr. Goodrich. Dr. Goodrich actually developed the staged surgical approach of separating twins that are conjoined at the head, which has resulted in better outcomes than the previous single-surgery model. After the final surgery, the twins spent several weeks in CHAM’s Pediatric Critical Care Unit for specialized care, and were transferred for rehabilitation purposes to Blythedale Children’s Hospital when they were strong enough. They spent months at Blythedale, and to this day are still receiving outpatient therapies, though their doctors are impressed with all the progress they’ve made. Jadon is able to crawl, and enjoys playing with big brother Aza’s toys and eating all kinds of different foods. Anias was the twin that faced further post-surgery challenges, but is also progressing. He’s breathing and sleeping much easier now, and is gaining important core strength. If that isn’t a heartwarming story to start the week, then I don’t know what is. 3DPrint.com is glad to hear the twins are doing so well! What do you think of this news? 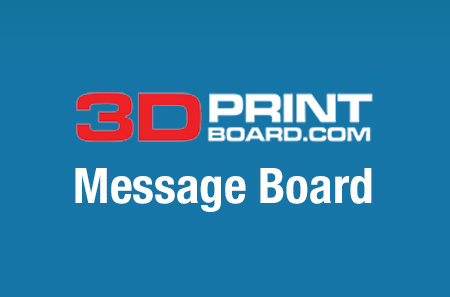 Join the discussion of this and other 3D printing topics at 3DPrintBoard.com, or share your thoughts below.